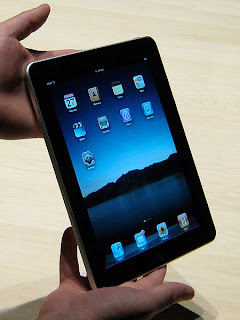 If you haven't heard yet, the Apple iPad was released to the public this past week. The reception among techies and geeks were divided; some calling it the next best thing after the uhmm.. iPhone while some compare it to a slab of rock. But one thing that I'm interested to know is what games can I play on it and will it be better than my Nintendo DSi XL? It has a touchscreen, yes, and its screen is way bigger than the DSi XL. I reckon it has a better resolution too. But what games will be available on it? I for one can't wait to find out!